Rental Pitfalls to Avoid in the Cayman Islands! Renting an apartment in Grand Cayman can be a pleasant experience or a living nightmare, and both outcomes generally depend on whether or not you have a knowledgeable and friendly Cayman Islands Real Estate Agent. Apartment hunting is very time consuming and stressful. First you have to see what’s out there. While there are numerous sites online that advertise apartments to rent in the Cayman Islands, you may have to visit quite a few before you get an idea on what’s for rent in your desired area. 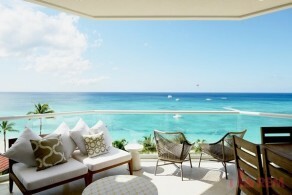 You may want to register with ONE of the Cayman Islands Rental agencies, therefore covering all rentals at one time. 2. If you want to pay less – ASK! Rent in the Cayman Islands rental market isn’t necessarily negotiable, but many landlords are willing to compromise on price. Whilst lowering the actual rent price can be the most challenging, sometimes you can negotiate other means of decreasing what you have to pay, for example the pet deposit. 3. Get Everything in Writing! In the Cayman Islands rental market we generally use a standard lease agreement but if there is anything that is unclear, make sure it’s clarified in writing. If something in the lease seems wrong, ask for it to be amended. 4. Do not let “holiday fever” cloud your judgement in looking property! If you are working in the Cayman Islands, it is advisable to check out the area you are working in and any public transport links. 5. Getting your deposit back. Here are some tips to ensure there is no excuse for your landlord to hold your Security deposit. Have the lease signed and witnesses, clearly stating the method of deposit return. Have an inventory from when you moved in …..With photos….of everything! If you have damaged anything then repair/replace too good order and standard.